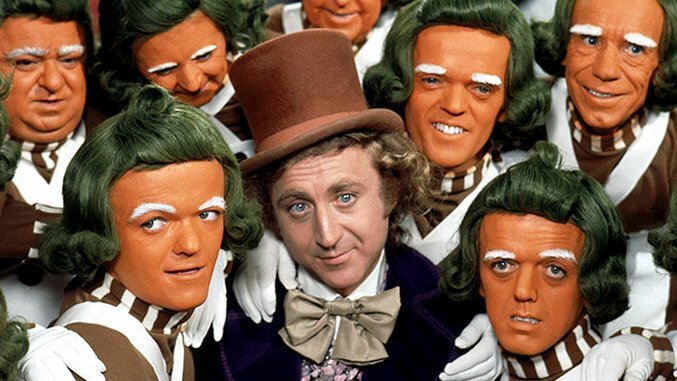 The heartwarming tale of how an unhinged psychopath who obviously frequents a blind haberdasher lured a coterie of children into situations where they died horribly to the sounds of orange dwarfs singing about the irony of their deaths—this year we celebrate the 45th anniversary of Willy Wonka and the Chocolate Factory, 1971’s much-beloved comedy/musical/low-key-horror directed by Mel Stuart. And what better way to celebrate the Roald Dahl adaptation (and not the Tim Burton version, which isn’t actually that bad but everyone hates it even though it’s in many ways much closer to the book) than with a sugar-y flurry of Internet content? Especially since Willy Wonka has spawned his very own series of memes, many of which you’ll find here. So, consider this your golden ticket: these memes are 105% scrumdiddlyumptious.